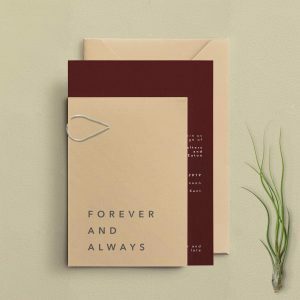 Folded Woodland Wedding Invitation – YES PLEASE! 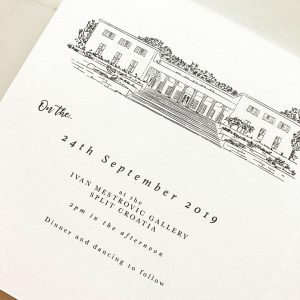 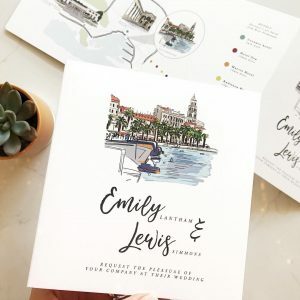 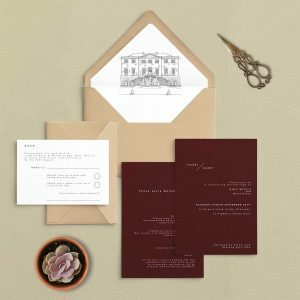 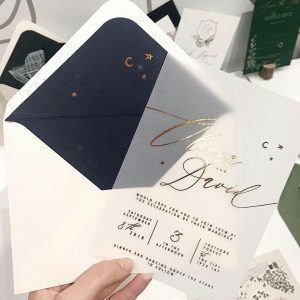 This primarily Illustrated Invite is perfect as you can fit all information on one card – front and back. 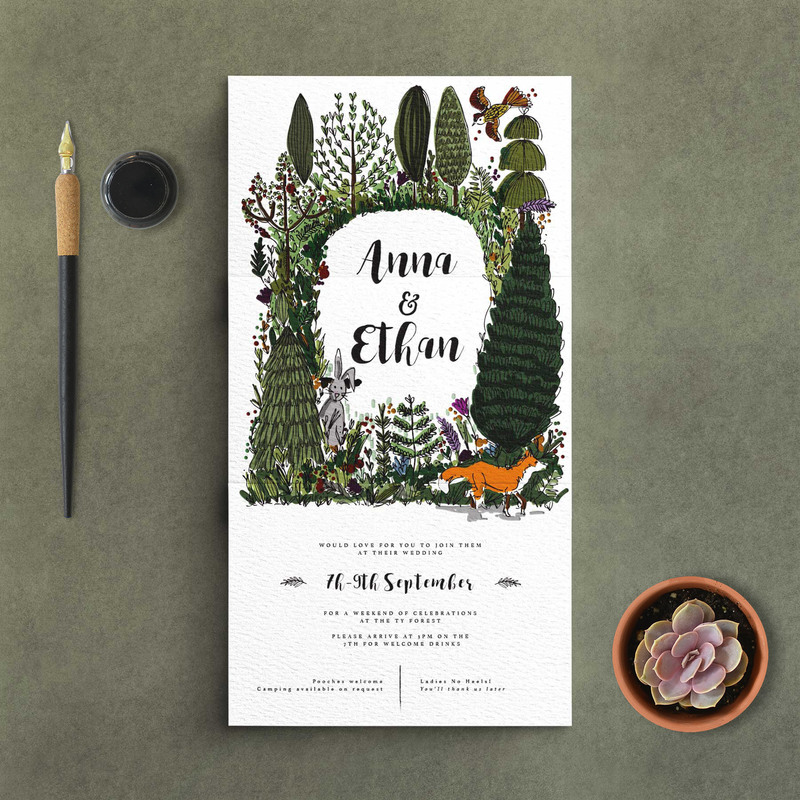 You can keep the woodland vibe or request a bespoke Illustration. 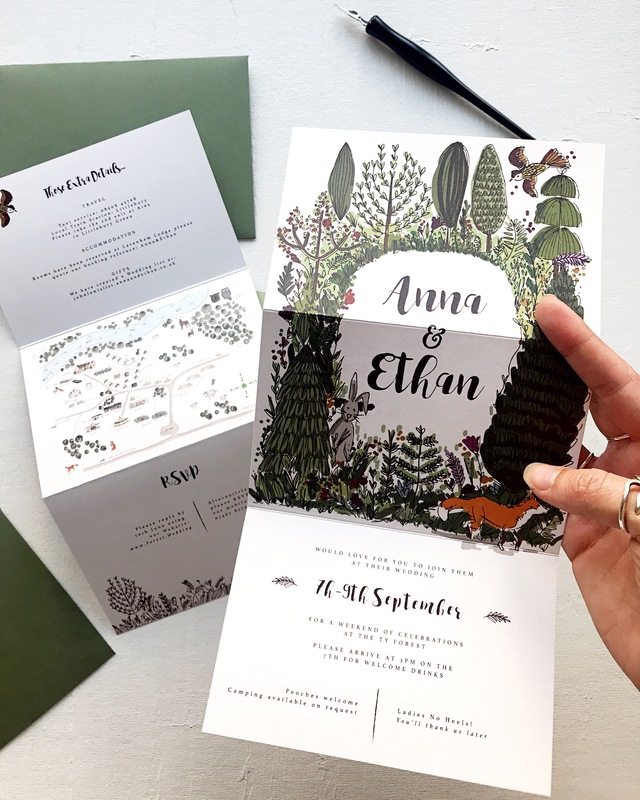 Fully customisable request your own illustrated scene, Venue, map, or just leave it in all its woodland glory. 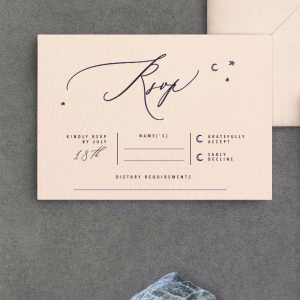 Then on the reverse have all the space for those extra special details. 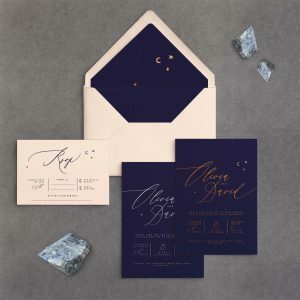 Venue Illustration can be added to the reverse or made a feature on the front. 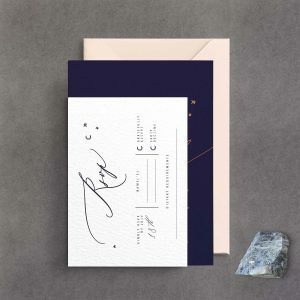 These options can be requested at checkout in the ‘Notes’ section.